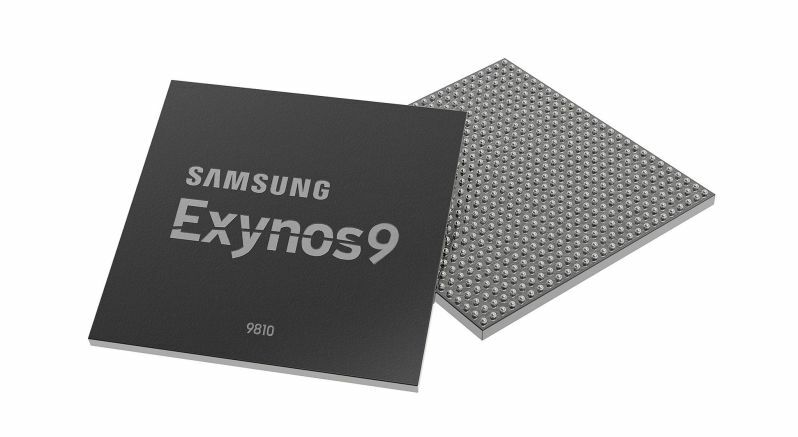 Today Samsung has officially announced its Exynos 9 series processor. The Exynos 9810 is built on Samsung’s second-generation 10-nm FinFET fabrication process. It comes with custom CPU cores, a faster gigabit LTE modem, and advanced image processing and machine learning capabilities. According to Samsung, the processor can accurately recognize people or items in photos for fast image searching or categorization. It can also scan a user’s face in 3D for hybrid face detection through depth sensing. The Exynos 9810 also comes with a dedicated image processing unit and upgraded multi-format codec (MFC). This should result in better stabilization for images and video, real-time out-of-focus photography in high resolution, and reduced noise and motion blur for better pictures in low light. The upgraded MFC enables video recording and playback in 4k resolution at 120 fps. The company is expected to use this processor for its Galaxy S9 and Galaxy S9+ flagship smartphones.